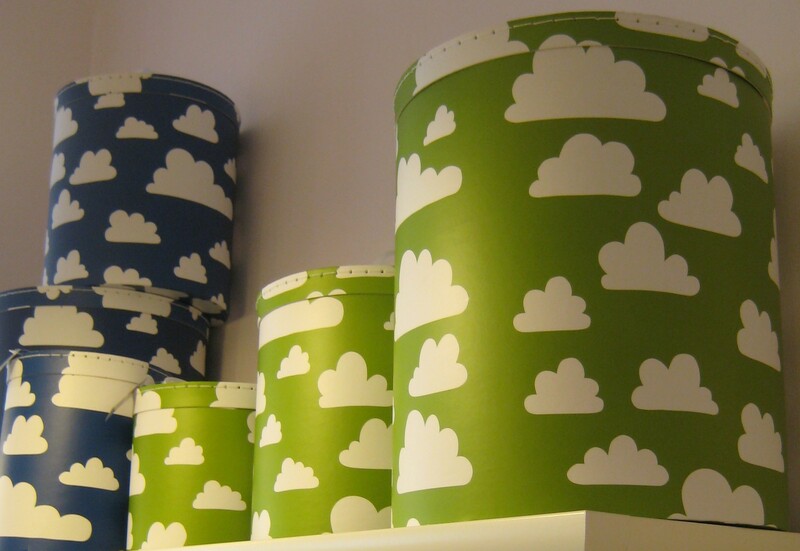 If you gonna have a cloud in your home, let it be a Färg & Form Cloud! 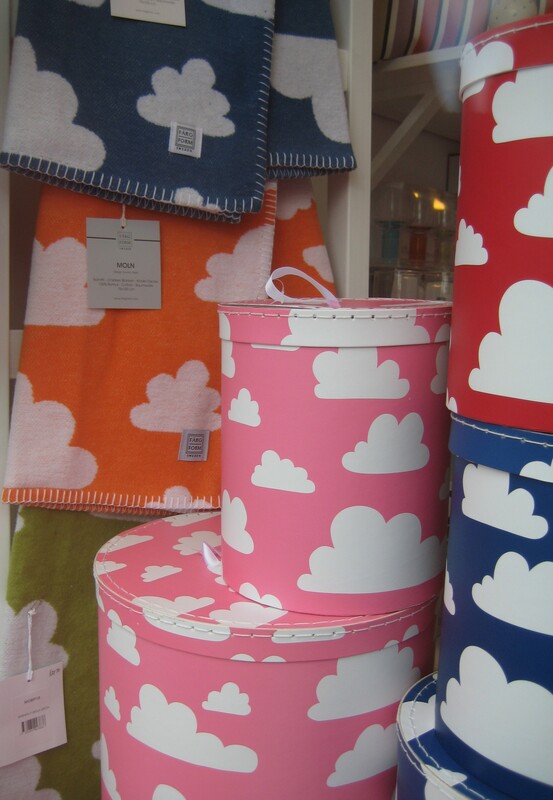 “Pattern Clouds were created during 1966 – 1967 under strong inspiration from the Japanese pattern. 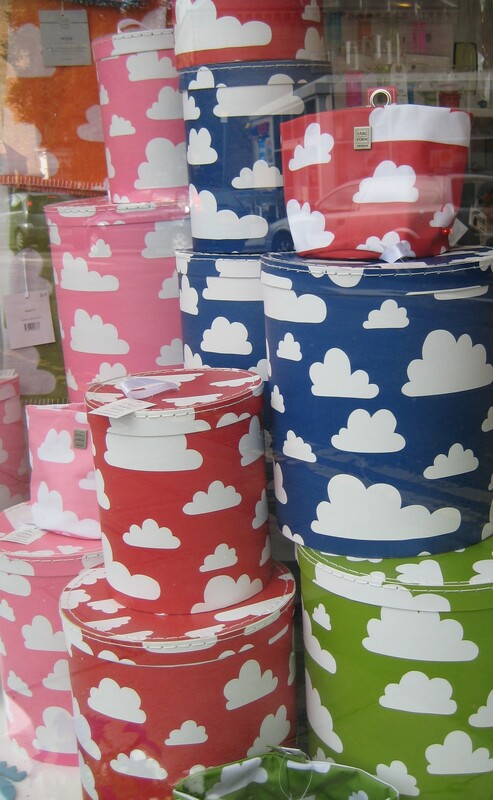 It was a revelation to me that the pattern could be characterized as simplistic and clean, while describing the world around us.” Gunilla Axén, creator of the pattern Cloud. 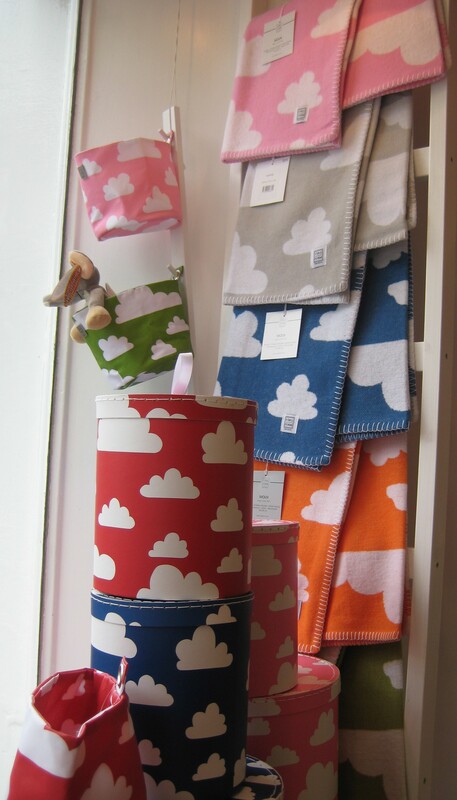 Färg & Form’s lovely products have been with us now since we started, particularly the cheerful Cloud series. 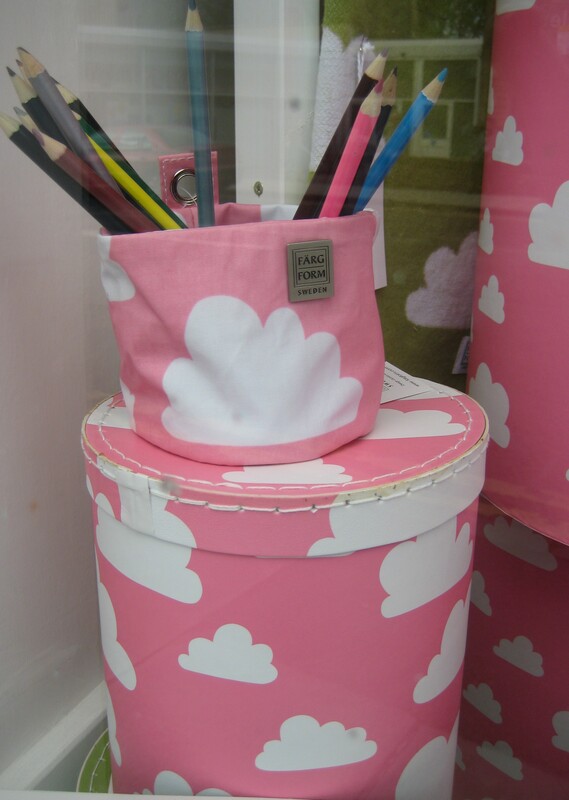 We love them here, they really make me smile and as you know I do like colours and they do look lovely in the shop. 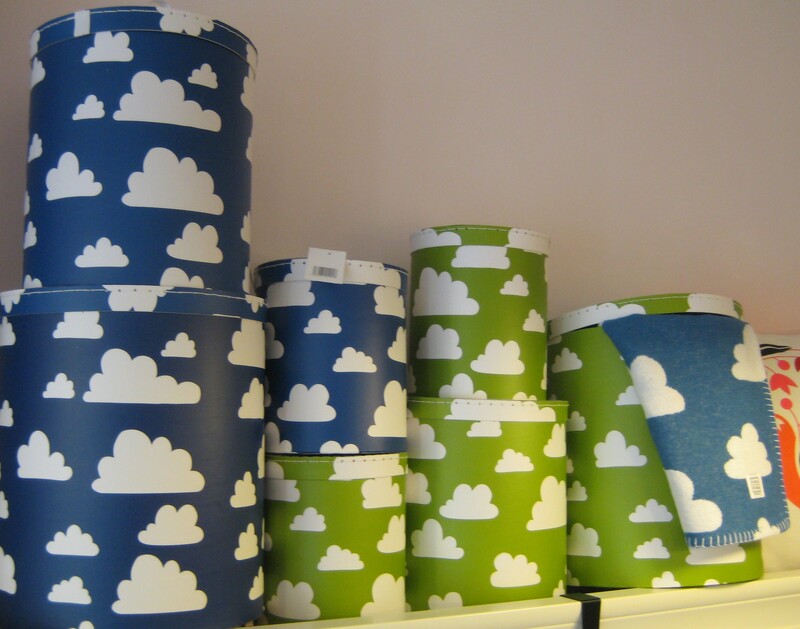 We have paper cans in three sizes for storage, choose between pink, blue, green or red (I have one large red one for Stina’s toys, perfect, and even when she bangs it still looks great). 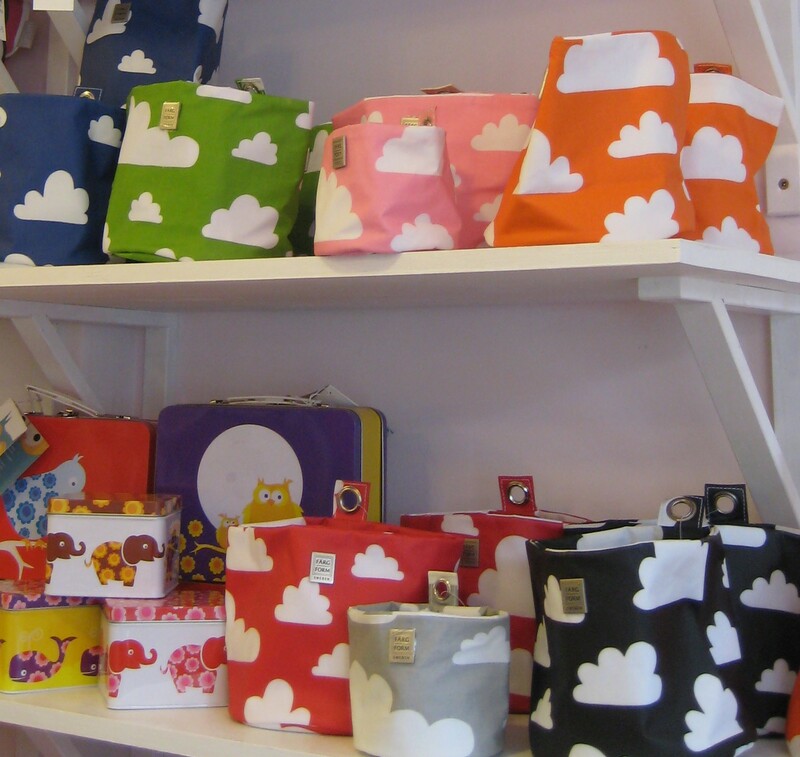 As well as hanging cloud storage in laminated cotton (easy to wash) for bits and bobs in the bathroom or above the changing table. For all the hairband or jewellery for the girls rooms or all those small cars that clutter the boy room floor ( I do have a nice and nephew and I know how they collect everything and how the toys clutter up their rooms). Or for pens and all those things that are everywhere in the office or when you find the perfect place for them you let me know. 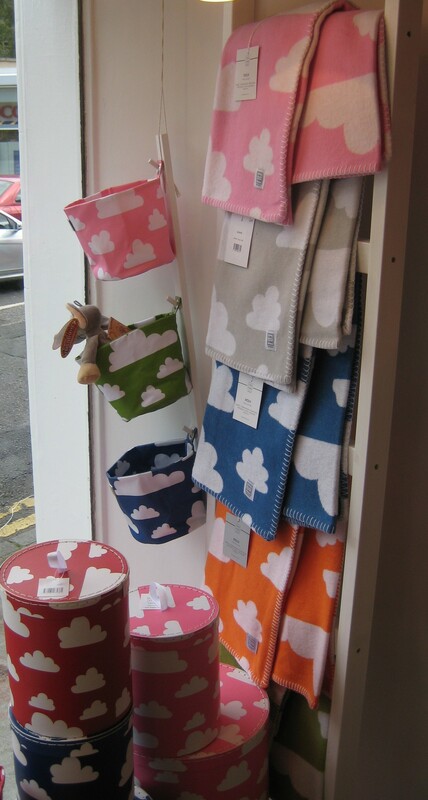 The Cloud blankets in 100% cotton are a perfect gift for a newborn baby and it seems to be a baby boom in the area as they are a very popular gift, or for your own baby, it is not really summer out there is it!!! 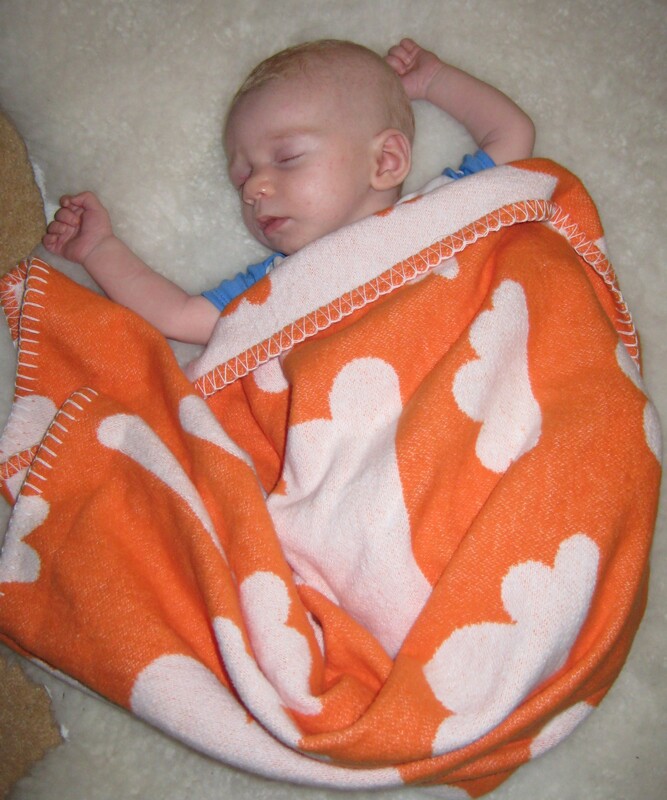 When Stina was born in October last year, my mother bought an orange cloud blanket for her which was perfect in her pram or cot or just on top of her in our arms while relaxing. And I seem to recall last winter was quite a snowy and cold one, lets hope it wont repeat this winter. Have a fantastic weekend, looking forward to see you.